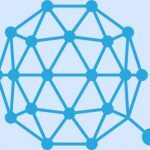 Home G What is Golem (GNT)? The Golem crypto system is designed to give people the opportunity to decentralize their computing infrastructure. Quite an interesting proposition – the system was designed to turn idle computing resources (CPU/GPU power) to the task of rendering images, processing large calculations and providing extra compute infrastructure for large operations (such as saving data to a database). 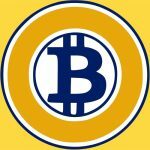 This is a major issue – with the concept of cloud computing being heavily associated with the likes of Render Farms and other multi-system supercomputer processing facilities. If you want to render 3D graphics, for example, what you end up doing is setting your CPU/computer to run for hours whilst it renders (computes) each frame. Thus, if you have an animation – which could be say 500 frames long – the time to render it is each frame’s rendering time * 500. The reason this is important is that people have turned to the likes of AWS (Amazon Web Services) or Microsoft Azure to provide MASS computing infrastructure, on which they’re able to install the likes of RenderManager onto them to provide the most effective rendering experience (where you can utilize 128GB of RAM + high-powered CPU’s). We know this market exists. We know this market is huge. Ethereum-based Golem is meant to be a decentralized market for computing power. The idea is that it’s meant to give people the opportunity to utilize computing power from a range of different systems around the world (decentralized) whilst paying a relatively small fee for their usage. The owners of said systems will earn from their use. The system works by taking small tasks (smart contracts) which are either files or some other command-structure and then making it so that computers in the large decentralized Golem network are able to crunch them. By allocating compute resources to processing these packets of data, the Golem system is able to reward node providers with money and the users with the actual compiled application. Whilst this works well in principle, a user from Reddit highlighted a significant problem – namely that when a customer wants to get their data crunched by the network, they need to invest time & money into buying/setting-up the Golem SDK. This isn’t the problem… as the investment into an SDK would be necessary with any cloud computing system. The problem lies in the tie-in this causes for the customer. 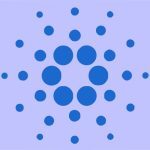 Rather than using an already-successful BOINC, or other distributed system, the customer is tied down with Golem… relying on their network having adequate inventory for someone to process the job at the price they need. An example of the system in existence already – BOINC. What’s important is that it actually seems that this has a business case behind it (with its development team located in a central Warsaw office). Whilst this might seem somewhat mundane, it’s important because it gives heed to the notion that many of the new crypto systems are designed around proposing great business benefits (that can be paid for), rather than relying on the system to somehow earn money later on. Having said, many of the seasoned crypto investors we talked to found the Golem idea good but its execution bad. Not much information has been published about the way in which the team hopes to achieve its vision, and the code repositories made available thus far have not been conclusive. The Golem team seems extensive, with a number of developers who have massive levels of experience in the crypto space. Finally, someone unafraid to actually put their real name and face out into the world – Julian has been a very public advocate of all what Golem stands for, and is continually providing the community with support and updates on the next versions of the system. Listed as CEO of Golem Factory (the overseeing company for the Golem technology), his experience seems to range from being the CEO of Claimstorm to having held a number of research roles. Chief Technical Officer, Piotr seems to have experience with several Internet software companies before running the technological team behind Golem. As explained, the Golem project was designed to actually provide a core business-case to users. compute tasks are organized and executed. By powering decentralized microservices and asynchronous task execution, Golem is set to become a key building block for future Internet service providers and software development. And, by substantially lowering the price of computations, complex applications such as CGI rendering, scientific calculation, and machine learning become more accessible to everyone. What’s most important about this is the way in which developers could use the service to provide high-powered computing power to the backend of their applications. This is an aspect to computing which has not been considered yet, and is one *ripe* for a service such as Golem to disrupt. To give an insight into the trick of winning big in the computing market, the real secret is to provide a killer app – a piece of functionality that can *ONLY* be achieved with the software/hardware combination provided by a company. Whilst it’s easy to replicate the results of other people, the REAL winners (most notably Apple) were able to create NEW ways of using technology – this is really the challenge for the likes of Golem… the ability to create a paradigm which transcends the technology and actually provides a great use-case for the end user. If Golem is able to do this with software developers (IE provide distributed compute infrastructure for their applications), it would not only allow them to store the likes of data in decentralized systems, but also remove the requirement for massive “client-side” compute power. This would be a major boon – if the company was able to sign up prestigious developers. In order to effectively consider the effectiveness of this system, you need several things in place. Firstly, an adequate compute infrastructure (to rival the likes of AWS) and secondly, the ability to utilize it effectively. As mentioned, Golem offers a definite use-case – whereby the system is able to provide an alternative solution to a common problem (the need to outsource rendering or other data processing), and the decentralized nature of the system definitely lends itself to this type of business model. As with other altcoins, the system’s success is measured predominantly by adoption (the number of people dedicated to providing CPU resource) and usage (the amount each coin is transacted). The price of the coin of the system is generally the result of several metrics – namely the ability for the user to actually gain value from the system (hence the transaction metric), and the ability for the mining network to profit from it. The way in which the founder/management team works on the system should be an indicator of the price. Fortunately, it seems that the team behind the system are necessarily competent (to deliver their vision) and consequently might be able to produce a product worth sharing. However, with entrenched competition from Microsoft, Google and Amazon – it’s obvious that this isn’t going to be a walk in the park (and investors can sense it). Another issue. Ethereum-based Golem is meant to be a decentralized market for computing power. That’s the problem. Ethereum’s network is expensive. congested and slow. 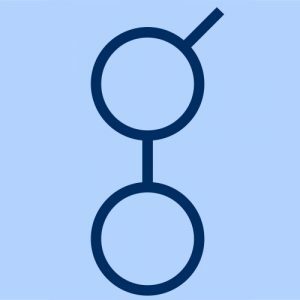 Golem should look into moving onto the upcoming EOS platform for unlined item scalability at $0.00 cost. I agree, ETH will be the bottle neck for golem; it’s currently very expensive fir the requestor, and I read on reddit that providers have to wait one month, sometimes longet for payment. GNT needs to revise the chain used for its network.